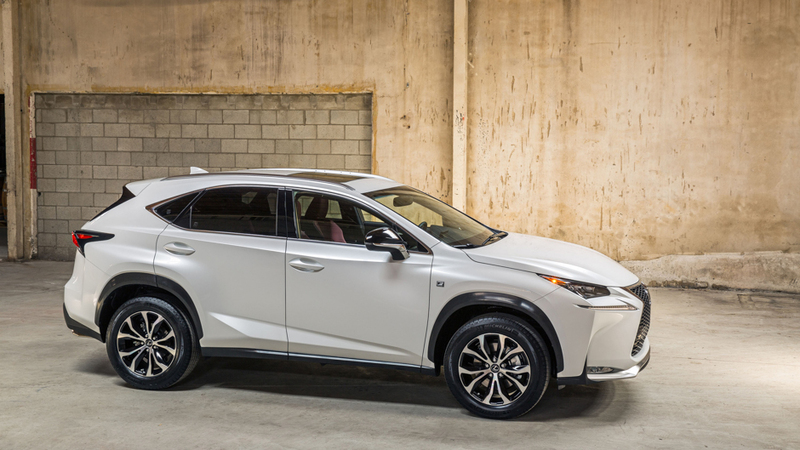 You’re going to have to excuse our coverage of the Lexus booth at SEMA 2014. 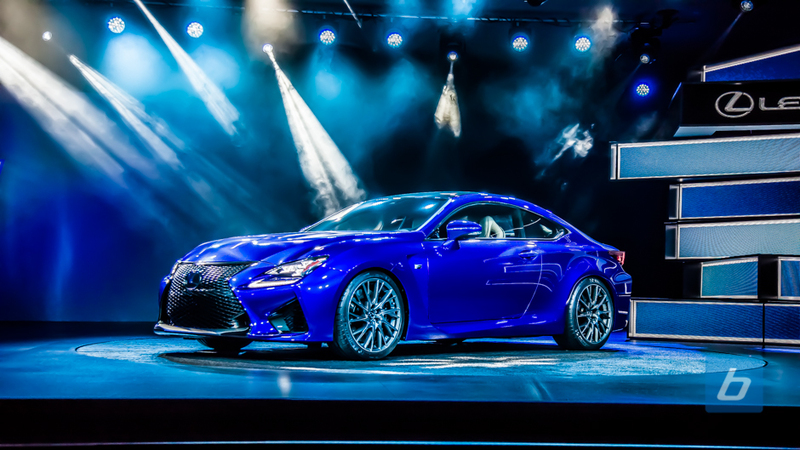 In previous years Lexus would run their promotions and giveaway in a second location due to the small size of their booth but this year it was inside their already crowded booth resulting in a big lineup that snaked through their booth and the hallway obstructing all their vehicles from being shot properly. Up on the main stage was the RC F GT3 Concept with its giant hologram rainbow logo adorning its sides. 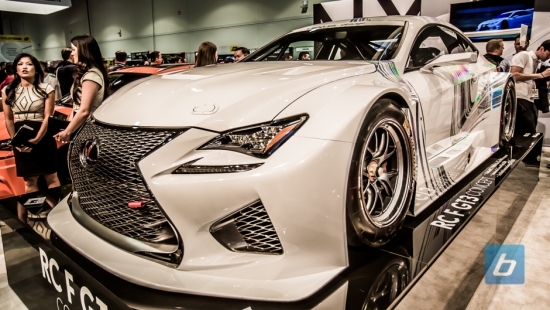 The RC F GT3 was unveiled earlier this year in Geneva but we’re seeing it for the first time here at SEMA. Under the hood the modified V8 develops 532 horsepower and with the stripped interior weighs only 2,756 pounds. 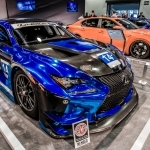 Flanking the GT3 Concept on one side was a red RC 350 F Sport by Beyond Marketing. It features, wait for it, a custom Rocket Bunny wide-body kit slammed on a set of Enkei wheels wrapped in Toyo R888s. Under the wheels are a set of Brembo 6-piston clampers and 15″ rotors up front. On the other side was a Molten Pearl NX built by Elite Motorworks riding on a set of 21″ HRE P104 forged wheels in black wrapped in Toyo T1R rubber.